D.S. 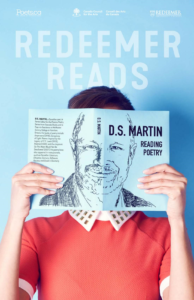 Martin is a Canadian poet who is Series Editor for the Poiema Poetry Series from Cascade Books, and is Poet-in-Residence at McMaster Divinity College in Hamilton, Ontario. 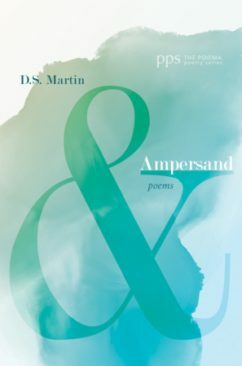 His books of poetry include: Ampersand (2018), Conspiracy of Light: Poems Inspired by the Legacy of C.S. 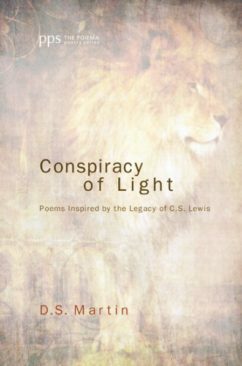 Lewis (2013), Poiema (2008), and the chapbook So The Moon Would Not Be Swallowed (2007, Rubicon Press). Follow these links to his poetry blogs: Kingdom Poets and The 55 Project. 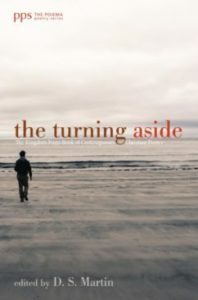 Also check out his new web-journal Poems For Ephesians which is on the McMaster Divinity College website. 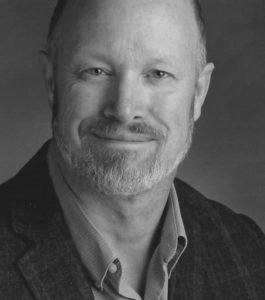 His poetry has appeared in many journals in both Canada and the US, such as Canadian Literature, Christian Century, Dalhousie Review and Queen’s Quarterly. He and his wife, Gloria, live in Brampton, Ontario. They have two adult sons. His books are available through amazon.com, amazon.ca and amazon.co.uk. please write a review to spread the word. 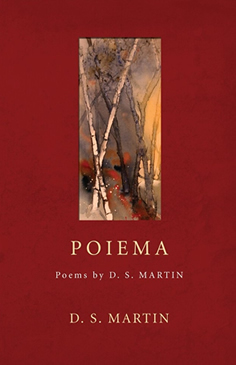 The Kindle edition for Poiema is now available from Amazon in the U.S., U.K., Canada, Germany, France, Spain, Brazil, India, Japan, Italy, and Mexico. 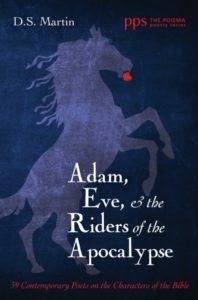 He has also edited two recent poetry anthologies for Cascade: Adam, Eve, & the Riders of the Apocalypse: 39 Contemporary Poets on the Characters of the Bible (2017) — and The Turning Aside: The Kingdom Poets Book of Contemporary Christian Poetry (2016).